MAKONDE, Zimbabwe – Three years ago, Sibongile Majaura was on the cusp of dropping out of school, a misfortune all too familiar to girls in Zimbabwe. But she has defied the odds. With just a little investment and a lot of ingenuity, she was able to start a thriving business and return to school. Now, at only 14 years old, she is excelling in her studies and supporting her family. Today, the International Day of the Girl Child celebrates adolescent girls like Sibongile, whose creativity and resourcefulness are the key to a better future – for themselves and their communities. But first, they need the right support. 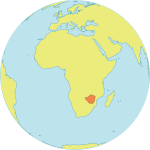 Sibongile’s family lives in Richmond, in the rural district of Makonde. In 2011, her mother fell ill with chronic ulcer problems, then her father began struggling with asthma. Neither parent was able to tend the family’s farm, and money grew tight. Over the years, their situation grew increasingly dire. Although Sibongile had always been gifted student, by the time she was 11, she was being regularly turned away from school for non-payment of fees. She fell behind in her studies. In Zimbabwe, less than half of children enrol in secondary school. Girls without educations are much more likely to marry and get pregnant while underage; early pregnancy and marriage also push young girls out of school. Of adult women surveyed in 2011, three in 10 had married by the time they were 18. And the country’s adolescent birth rate is more than twice the global average. “It is common here to marry young,” Sibongile said. But before she was forced to drop out entirely, she learned about Sista2Sista, a UNFPA-supported girls’ club that offers a safe place for vulnerable adolescent girls to discuss their problems. Mentors also teach them about sexual and reproductive health, human rights, financial literacy, and how to navigate difficult circumstances, including abusive relationships. Sibongile joined the club, and when her mentor, Makaita Maoyise, brought up financial skills, she was captivated. Sibongile approached her about raising money for school fees. Ms. Maoyise was impressed by her maturity and determination, especially since, at 12, Sibongile was the club’s youngest member. But no one could have imagined how immensely – and how quickly – she would succeed. Ms. Maoyise helped Sibongile obtain a large package of corn snacks to sell. Sibongile exchanged the corn snacks for maize, which she sold for about $15. She used that money to buy two chickens for $10. The hen laid eggs, producing more chickens, which Sibongile then sold for $5 each. Within a month, she had earned enough to pay for school fees and to buy a uniform and stationery. Today, her business is thriving. She earns enough to pay the school fees for both herself and her little brother, and to buy essential items for her family. Sista2Sista was launched in Zimbabwe 2013 with funding from the governments of Britain, Ireland and Sweden. It aims to help girls stay in school, and to empower them to reject child marriage and early pregnancy. “We have witnessed a dramatic decrease in the number of school drop-outs among teenage girls in the community since the Sista2Sista clubs started operating,” said Mrs. Chitana, one of the teachers at Richmond Secondary School.